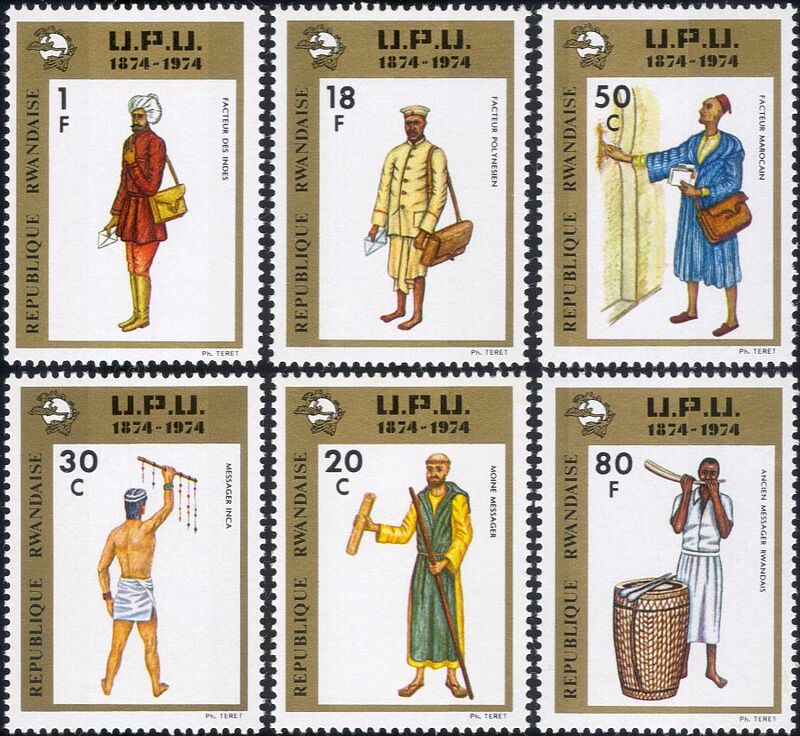 Rwanda 1974 Universal Postage Union 100th Anniversary 6 value set depicting Early Rwandan Messenger with Drum and Horns and Inca, Moroccan, Indian, Polynesian, Monastic Postal Messengers and Postmen - in superb u/m (mnh) condition - excellent country, mail, UPU, postal, philatelic, uniforms, costumes, music, instruments thematics. If you cannot find the specific stamp set or thematic/topic you are looking for either here in my shop or at the brumstamp stamp shop on eBay http://stores.shop.ebay.co.uk/The-Brumstamp-Stamp-Shop please do not hesitate to contact me. Enjoy browsing and shopping. Andrea!